LPDP is special unit established by the Government of Indonesia to manage fund for scholarship. The scholarship is grated to bright Indonesians to pursue their study (Master and PhD) in selected universities in Indonesia and overseas. 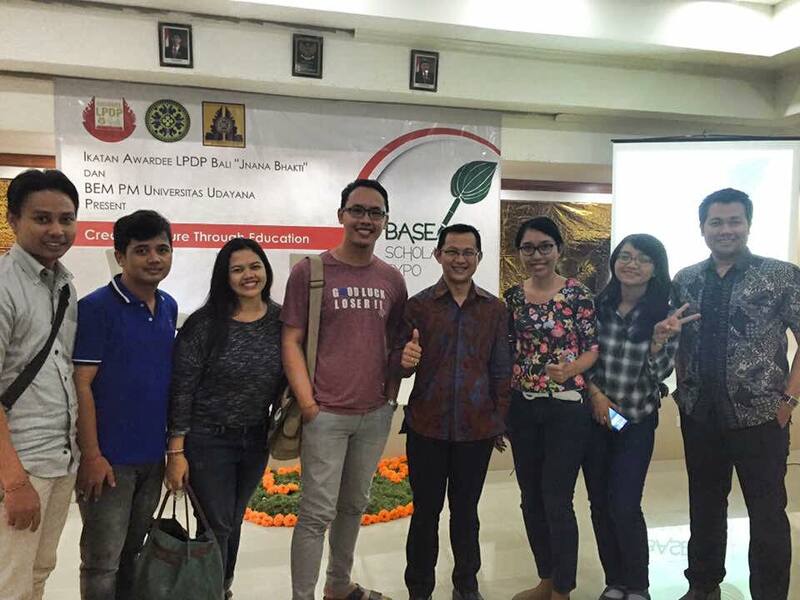 Arguably, LPDP scholarship might be the most well-known scholarship in Indonesia nowadays. Almost all Indonesian students put LPDP in their wish list, when it comes to studying with scholarship. I met a number of LPDP awardees and I am impressed by their quality. One good thing about them is their ability and willingness to organise themselves in one strong family. Even since pre-departure activities they have demonstrated good collaboration for contribution. Before departing to places where the will conduct they study, LPDP awardees usually organise a number of activities for different purposes. One favourite program is sharing scholarship information for future awardees. I was lucky enough to be invited by LPDP awardees, chapter Bali, to share my insight on scholarship to study master or PhD, especially in overseas universities. It was easy to feel the spirit of young Balinese to pursue their dream studying overseas. 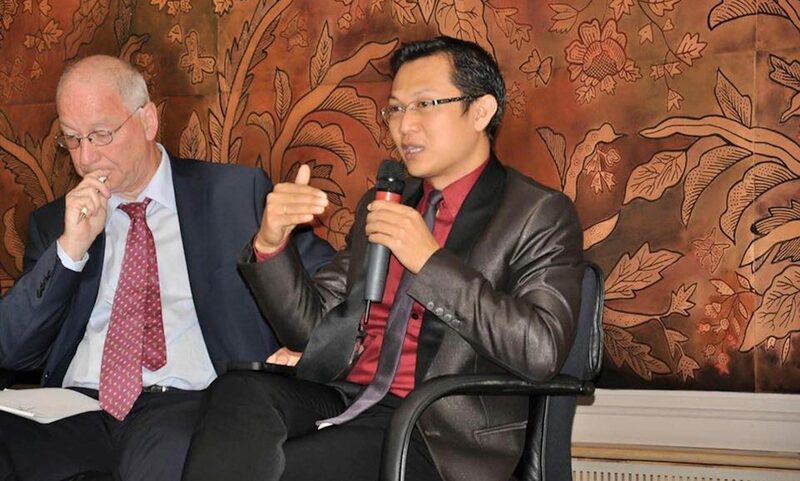 I am optimistic that many of the students I met in Bali will be the future awardee of LPDP. It was a historical visit to Dili on 19 May 2016. Historical because it was the first one for me and also because it was a meeting with Ramos Horta, Mari Alkatiri and the current Prime Minister of Timor Leste, Dr. Rui Maria de Araujo. There are not many bigger things than presenting your ideas in front of former president, former prime minister and a current minister of a country. It was a rewarding experience. 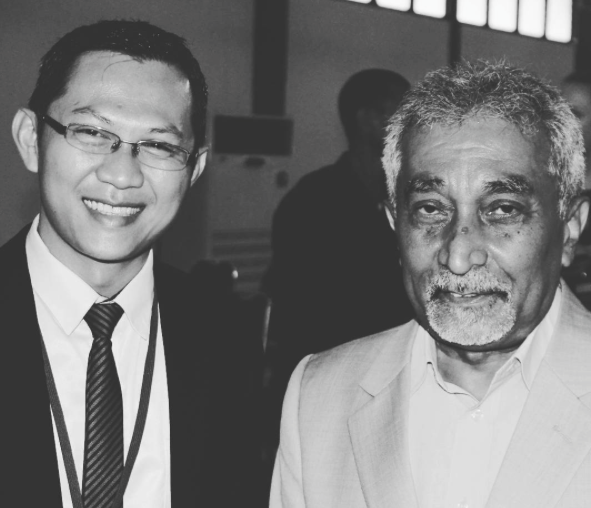 I was invited by President Xanana Gusmao (yes, you are right, Xanana) to deliver a presentation on Indonesia’s perspective on maritime boundary delimitation and the law of the sea. It was a quite big conference attended by 500 plus participants and a number of prominent figures were there. A number of ministers were present and I had a good opportunity to network. It was certainly a great and invaluable experience to have. Also present in the conference was the President of ITLOS, Judge Vladimir Vladimirovich Golitsyn, the Indonesian President’s Special Envoy for maritime boundary delimitation between Indonesia and Malaysia, Dr Edy Pratomo, and Prof. V. Love, a prominent international lawyer from the UK. Academically, it was certainly a high profile conference and I undoubtedly learned a lot from this immortals. Catatan lebih lengkap dalam Bahasa Indonesia ada di sini.